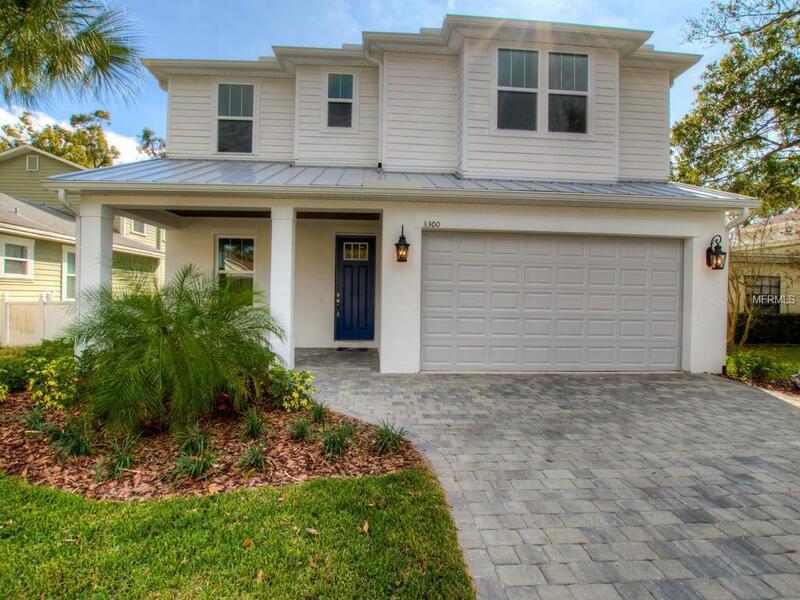 This New Construction home, developed by M Ryan Homes, sits on a 145' deep lot in Plant High School district. The open floor plan features a full bedroom suite on the first level, mudroom with built-in bench upon entry from the attached 2 car garage, crown molding & wood floors throughout the main level. In the kitchen you'll find a striking gray waterfall quartz countertop on the kitchen island, white double shaker cabinets, GE appliances, gas cooktop with hood, double oven, stainless farm sink, & walk-in pantry. The butler's pantry hosts a wine fridge and additional cabinetry, and connects to the formal dining room. Upstairs, the master suite includes a shower with rainfall shower head, beautiful free standing tub, dual sink vanity, and large walk-in closet. Spacious secondary bedrooms all enjoy walk-in closets and en suite baths. The large backyard has plenty of room for a pool, & features a covered lanai with wiring for your fan and TV, creating an inviting space for outdoor living. Partial metal roof, paver driveway and porches, tankless gas water heater, stained T&G porch ceilings. No flood insurance required!